Engage our visitors as participants. Design unforgettable, curriculum-based learning experiences. Use Big Data in astronomy to bring front-line science to people through innovative and authentic science visualizations. 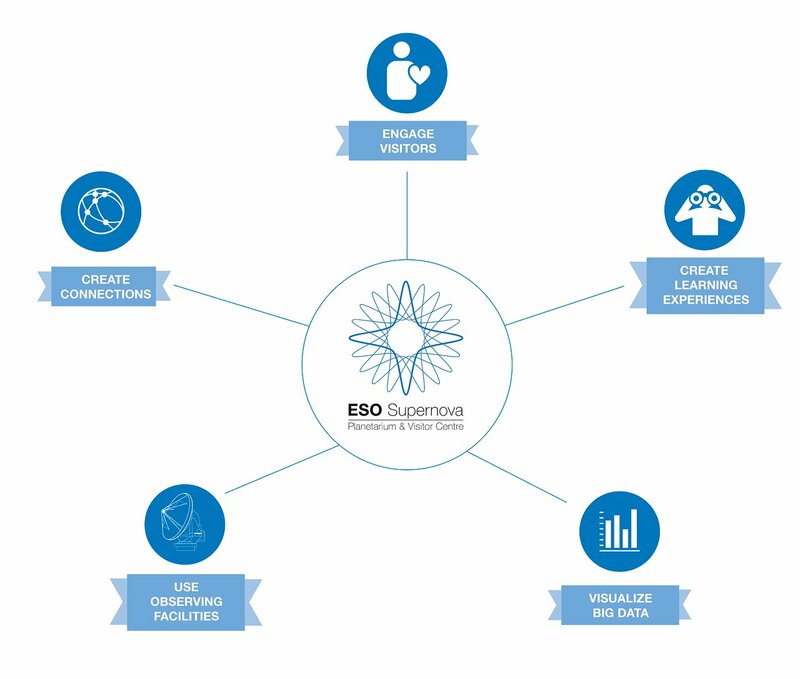 Bring ESO’s front-line observing facilities in the southern hemisphere closer to Europeans. Create connections locally and globally: People ↔ Science; Culture ↔ Astronomy, Local ↔ Global, North ↔ South, Mankind ↔ the Universe. Inspiration — We want people to feel inspired by science. Engagement — We want people to engage with science. Authenticity — We are close to the science, and present science and the scientific work process accurately. Innovation — We always strive to find innovative ways to teach science. 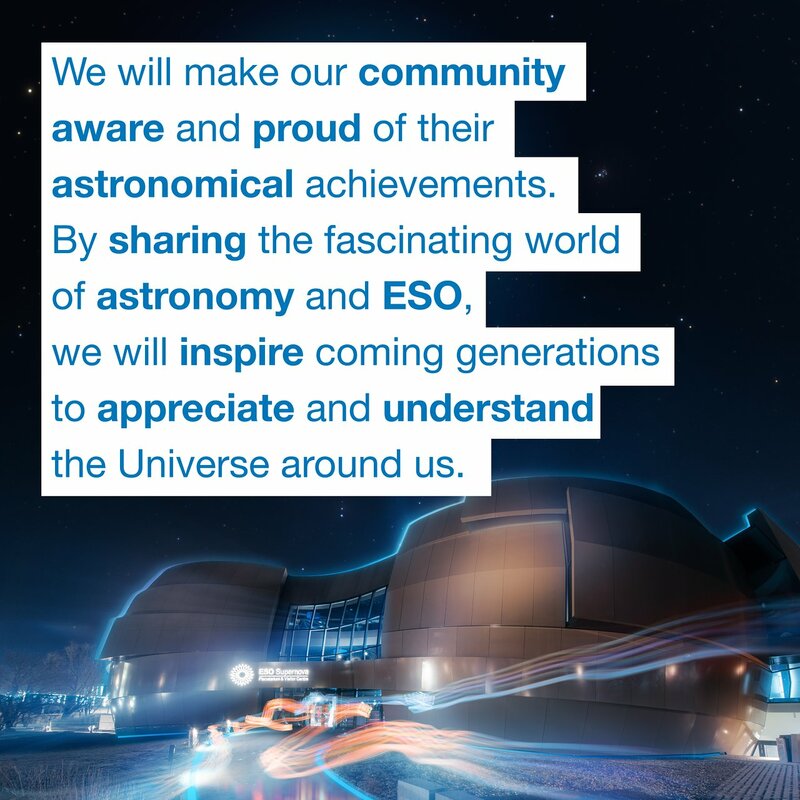 Connection — We want ESO Supernova to be a bridge that creates connections on many levels.